This pendant was created from an upcycled mini domino. It features an image of a skeleton in a top hat. 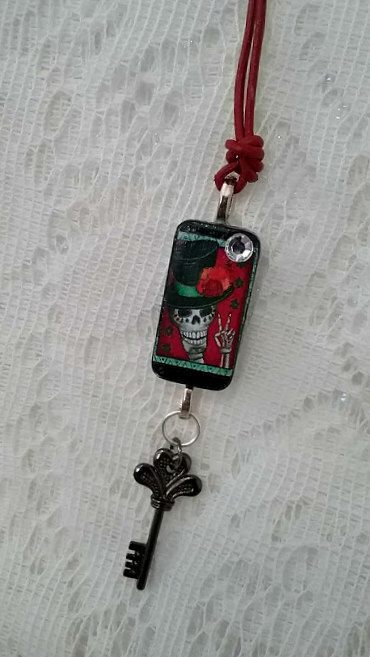 A sparkly rhinestone and black skeleton key dangle complete the look. It comes on a 32 inch length of faux leather red cord. The domino measures a little over 1 inch in length and 1/2 inch across.